One of the best-attended breakout sessions of Digital Book World 2015 was the discussion called “Should Amazon Be Constrained, and Can they Be?” which shared the very last slot on the two day program. That conversation was moderated by veteran New Yorker journalist Ken Auletta, and included Annie Lowrey of New York Magazine, thriller author Barry Eisler, and Barry Lynn of the New America Foundation. It turns out that the two Barrys, who have pretty much diametrically opposed positions on Amazon (Lynn wants them investigated by the DoJ as a competition-stifling monopoly; Eisler casts them, for the most part, as the heroes of the book business’s digital transition) have a common position on the Big Five publishers. They refer to them as a “cartel”. Eisler is sneeringly dismissive of “New York”, which he refers to the way Republicans of the 1980s referred to “Moscow”, as an obvious pejorative. 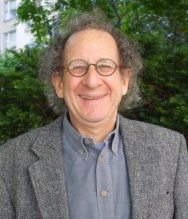 He appears befuddled by how anybody interested in the well-being of authors and the reading public could take the side of these publishers who maintain high prices for books, contract with authors to pay them smaller percentages of sales than Amazon does (either through Amazon’s own publishing operations or through their self-publishing options), and notoriously reject a very high percentage of the authors who come to them for deals. Perhaps because the focus was Amazon, perhaps because Eisler was both emphatic and entertaining in his roasting of the publishing establishment, and perhaps because the facts to defend them are not well known, neither moderator Auletta nor panelist Lowrey challenged the big publisher baiting from Eisler with which Lynn mostly agreed. It was just as well that I wasn’t on the panel. I am not certain that Amazon can or should be constrained, but I am damn sure that the Big Five publishers are not villains, and they are certainly not a cartel. They do seem to be extremely poor defenders of their own virtue but they are doing yeoman work maintaining the value in the old publishing model — for themselves and for authors — while adjusting to changes in their ecosystem that require that they develop strong B2C capabilities while maintaining their traditional B2B model, the death of which has been greatly exaggerated. If I’d been on that stage, the discussion of Amazon would have been diverted when the trashing of the big publishers began. I took the step of confirming in an email exchange my recollection of the counts in Eisler’s very entertaining, persuasive, and unchallenged indictment of the big publishers. 5. They reject a lot of authors. Here Eisler clarifies that this is not an “indictment, just an axiom”. I agree when he applauds self-publishing for creating a better world where “readers have more to choose from”. But we quickly part company again because he characterizes self-publishing as freeing us from a world where “an incestuous cartel” makes “virtually all the decisions about what tiny fraction of books readers will every have a meaningful opportunity to learn of and read”. I’m going to plead “no contest” to the charge that the Big Five are “my people”, which I hope won’t discredit my arguments any more than the fact that Eisler is an Amazon-published author discredits his. But the cartoon picture of publishing in Eisler’s reviled “New York”, where some small group of extremely like-minded people apply their narrow views to effectively restrict what people read is a massive distortion of reality. Let me try to set the record straight about this world so many of my friends inhabit and with which I’ve been interacting for the better part of five decades. First of all, the Big Five have plenty of competition: from each other, as well as from smaller niche publishers who may but be “big” but certainly aren’t “small”. (That is why the big ones so often buy the smaller ones — they add scale and simultaneously bring heterogeneous talent in-house). They are all quite aware of the authors housed elsewhere among them who might be wooable. In fact, since we have started doing our Logical Marketing work, we have done several jobs which were big author audits commissioned by publishers who wanted to steal the author, not by the one which presently has them signed. Eisler explicitly resisted accusing the publishers of “collusion”, but he does accuse them of “not competing” with each other. That is an accusation that is simply not supported by the facts. Nobody who has spent any time talking to people who work in big houses could possibly get the impression that they don’t compete. But the big flaw in Eisler’s logic is the same one that dooms Hugh Howey’s “Author Earnings” project to irrelevance: the assumption that the per-copy royalty terms and rights splits are the most important element of publishing contracts. In fact, they’re not. Actually, those terms matter in 20 percent or fewer of the agented author contracts with the Big Five. Why? Because the agents get the publishers to pay advances that don’t earn out! In fact, I have been told by three different big houses what they calculated the percentage of their revenues paid to authors amounted to. We could call that the true royalty rate. The three numbers were 36, 40, and 42 percent. That includes what they paid for sales of paperbacks, all of which carry “stipulated” royalties of well less than 10 percent of the cover price (and therefore below 20 percent of revenue). Take that on board. Big publishers are paying 40 percent of their revenue to authors! That leaves them 60 percent to pay everything else: overheads, manufacturing, and profits! Compare that to the margin Amazon has even if they pay a 35 percent digital royalty, or compare it to what anybody else has in any other business after paying to acquire the raw material for what they sell. If there were really an “asymmetrical” power equation favoring publishers, you’d think they could acquire the author contracts for a bit less, wouldn’t you? Not only were the authors’ collective royalty rates much higher than contracts stipulated, the authors got most of that money in advance, eliminating the authors’ risk. The only contracts on which the royalty terms matter are those that do earn out (and, arguably, those that are close). For all the others, most of Eisler’s list of complaints is irrelevant. And, for the record, I have never heard an author complain about that show of confidence, the work that follows in helping him or her reach an audience (which benefits all involved), nor the cash upfront. More frequent accounting doesn’t matter if you aren’t owed any money. And if the solution to “forever” contracts were that you could buy your way out by paying back what you got in advances that your book didn’t “earn”, how many authors would do that? But, in fact, agented authors don’t have forever contracts; agents have been negotiating performance clauses for publishers to keep rights for years. And, on top of that, no author in the US can possibly have a “forever” contract because the copyright law of 1978 requires the publisher to revert rights to the copyright holder after 35 years on request. Agents tell me this is has been resulting in additional “advances” for re-upped books for the past couple of years. Note: this is the law. No publisher disputes it. But the “forever contract” argument ignores it. But, even beyond that, the negative characterization of Big Five New York publishing is terribly unfair. First of all, the standard terms in big house contracts are almost always more generous than the terms in smaller publisher contracts. Few — if any — of the smaller ones pay a hardcover royalty as high as 15 percent of list. Although higher digital royalties can sometimes be found, usually those are from publishers who have little capacity to deliver print sales, so digital royalties is all you’re going to get. (That might be okay for a romance novel where a big majority of sales could be digital. It would be disaster for the author of just about anything except genre fiction.) And some smaller publishers actually pay less than 25 percent for digital royalties. So the Big Five terms are generally better and they routinely pay agented authors advances that no other publisher would attempt to match. But, beyond that, the idea that they are a “cartel” (a characterization enthusiastically seconded by Amazon critic Barry Lynn after it was introduced by Amazon supporter Eisler), is really preposterous. In fact, the Big Five are, to varying degrees, federations of imprints that even compete internally for books, sometimes to the extent that they will bid against each other when an agent conducts an auction. And it would appear from Eisler’s pre-Amazon publishing history that he himself has, in fact, been the beneficiary of bidding competition among major houses. The internal-to-the-house competition occurs because of the way big publishers are organized. It has been understood for decades that some aspects of a publisher’s operation benefit from scale and size and other functions must remain small. In general, publishers deliver accounting, manufacturing, and sales as centralized functions and editorial acquisition and development, packaging and design, and marketing as localized capabilities housed within the imprints. The power of imprints, which are individual editorial units, varies, but it is generally the case that they have autonomy over their acquisitions and must “compete” internally for the centralized services. The digital transition is definitely straining that organizational structure. Having the by-title P&L responsibilities distributed makes it more difficult for houses to organize cross-imprint initiatives for everything from direct sales to audience-centric (vertical- or subject-oriented) marketing. Having multiple imprints that all contain “general” lists is probably an anachronism in an age when we want brands (which imprints are) to make sense to consumers. Publishing imprint brands were always B2B, meant more to inform such trading partners as libraries and bookstores and reviewers, not the general public. But the big houses reap large benefits from the power of their central services. They get rock-bottom prices for printing and lightning-fast service for reprints. They have daily contact with the biggest accounts, which matters for getting reorders onto suddenly-empty shelves or to execute a short-lived price promotion for an ebook. They have teams of people staying abreast of every promotional opportunity at every account or service like BookBub. They are increasingly developing teams and tools to keep their marketing metadata fresh and relevant, to monitor the online world for marketing opportunities, or to build or advise authors on creating effective web presences. Although authors can certainly be found who felt they were signed and then ignored, most houses sweat all the details: editing the book, packaging it for sale, and following rigorous pre-publication routines to get endorsements. They all have special sales departments that are regularly working catalogs and specialty retailers for the books appropriate to their audiences. Smaller houses don’t have all these capabilities. To suggest to an author with no publishing background that s/he can do all this themselves, even with an unlimited budget to buy outside services, is really setting a novice up for frustration and failure, or at the very least near-certain dissatisfaction. As for competition among the Big Five, I call it kabuki competition. Competition that results in decades of zero innovation and the same antediluvian lockstep contractual terms is by definition meaningless. It’s managed competition, agreed-upon competition. A lack of industry innovation is like the dog that didn’t bark: the absence is itself evidence, because in the presence of meaningful competitive pressure, industry players innovate. To argue otherwise, you’d have to argue there has never been room for real innovation in publishing practices. I think that would be a hard argument to make. To put it another way, what the Big Five cooperate on is far more significant than what they compete on. By it’s [sic] nature, competition is more noticeable than cooperation, so a little bit of competition obscures a lot of cooperation. Unfortunately, this doesn’t tell me much. I don’t know what the Big Five “cooperate” on. And though the argument that there “has never been room for real innovation in publishing practices” would, indeed, be nonsense, so is the claim that there has been no innovation. A “failure to innovate” doesn’t describe the last five years that I’ve been living through. All the Big Five houses have continuously reorganized, brought in outside-of-publishing digital talent at a high level to up their game, and introduced digital-first operations and contracts, all at the same time that they have had to manage down fixed investments in plant (warehouses) and change manufacturing-and-inventory processes to take advantage of improved digital printing capabilities. 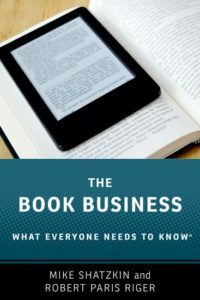 It is now often forgotten that, while it is true that Amazon “made” the ebook market really happen, publishers had for a very long time before Kindle been creating editorially magnificent products and were far ahead of Amazon in seeking to publish in ebook formats, only partly because of better economics. (At the time all costs were additive and the market was tiny.) They published them because readers seemed to want them and big publishers, whatever their bashers might think, feel a responsibility to assure maximum distribution of a writer’s work. In fact, the big houses all are comprised of competing imprints. Among them they employ hundreds of acquiring editors who are each trying to build their own successful lists (competing with each other). They are shamelessly commercial: a book with the potential to sell only a few thousand copies won’t get their attention. But, beyond that and those things that are far outside prevailing public morals and sensibilities, I can’t see any restrictions on what they’ll publish. The Big Five houses have negotiated the digital transition that has occurred so far with startling success. The self-publishing business has grown, fueled by investment from Amazon and other big players, but big houses have hardly lost any authors. They are facing down dominant retailers in their two biggest channels — brick bookstores and online — and managing to maintain their margins and profitability. They are all moving on a variety of initiatives to build vertical (audience-centric) capabilities and extend their global marketing and sales reach. But even if one assumes the “worst” of the big publishers, it is a total canard to say, as Eisler did to me, that “in the absence of meaningful competition, the Big Five has exercised incredible power over what books are published and what people are functionally permitted to read.” In fact, the argument that authors can reach their audiences successfully through self-publishing (which on other days, Eisler and his fellow musketeers Hugh Howey and Joe Konrath make with gusto) explicitly contradicts that contention. But so do Harry Potter, published by Scholastic, and “Fifty Shades of Gray”, picked up by Knopf after a self-published start, to name two sales phenomena of relatively recent times. There are a number of very capable publishers just a bit smaller than the Big Five (Houghton Mifflin Harcourt has the Lord of the Rings books, for example) and there are legions of specialty publishers who do books the Big Five would generally not even consider. Sometimes the Big Five acquire those publishers to add diverse author and publishing talent to their rosters to compete in niche markets. Harpercollins’s acquisitions of Thomas Nelson and Harlequin fit that description. How much a big house can publish is one thing; what they can publish is also a function of the talent onboard and the audience development that has already taken place. The Big Five are actually specialists of a different sort: they do the books with the biggest commercial potential. I’d argue that having five very large companies all capable of making a book a mammoth commercial success is a pretty big number, not a small one. If those companies were broken into more of their component parts and we had 15 or 25 large-ish publishers rather than five giant ones, it is not at all obvious that author advances or sales would be higher. There would probably be more manufacturing and sales staff per title (and less investment in tech to support either) than there is now, but those salaries would be subtractions from the company’s margins, and would therefore likely increase book prices. That’s not going to produce more value for either authors or readers. So I actually think author advances — which one must always remember is the metric that matters most in determining how well authors are getting paid — would be lower. During our on-stage conversation at Digital Book World 2015, Brian Murray, the CEO of HarperCollins, took great pains to express his view that self-publishing capabilities are good for authors and for readers. On the same morning, Judith Curr, who is the President of S&S’s Atria imprint, explained how her house specifically targets successful indie authors to bring them in. Every big house has some respectful variation on those themes. The animus between big publishers and some components of the self-publishing community is really a one-way street. In a prior post of mine about the illogical publisher-bashing, the comment string taught me that the mostly rhetorical and histrionic arguments from the self-publishing side against the big houses constituted an emotional, not a rational, reaction. A dispassionate examination of the facts and an understanding of how things really work make it clear that big publishers — both goaded and constrained by powerful agents — are very good for authors. That doesn’t mean self-publishing isn’t good for them too but, then, no big publisher I know is saying that it isn’t!